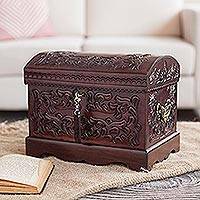 Place this chest on a mantle or dresser to showcase all of your jewelry in a setting that matches the beauty of your collection. 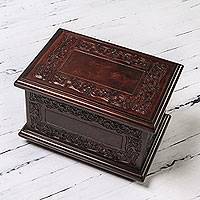 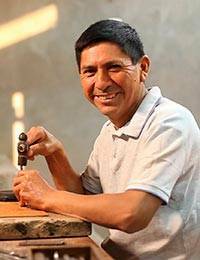 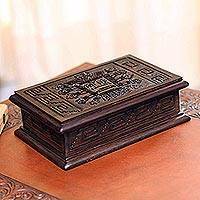 Crafted by Julio Sanchez in the Andes region, this jewelry box is delicately carved in mohena wood and has ornate bronze handles on either side. 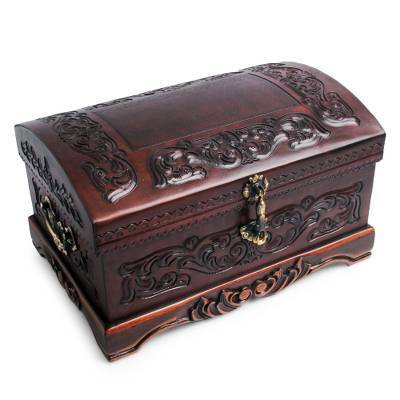 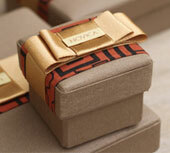 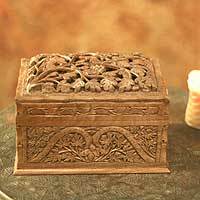 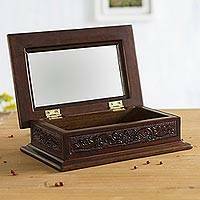 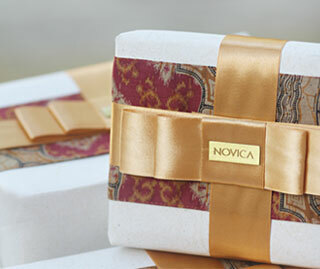 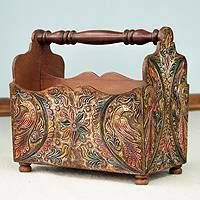 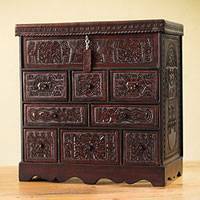 This jewelry box will look great in any style home and is both functional and decorative.